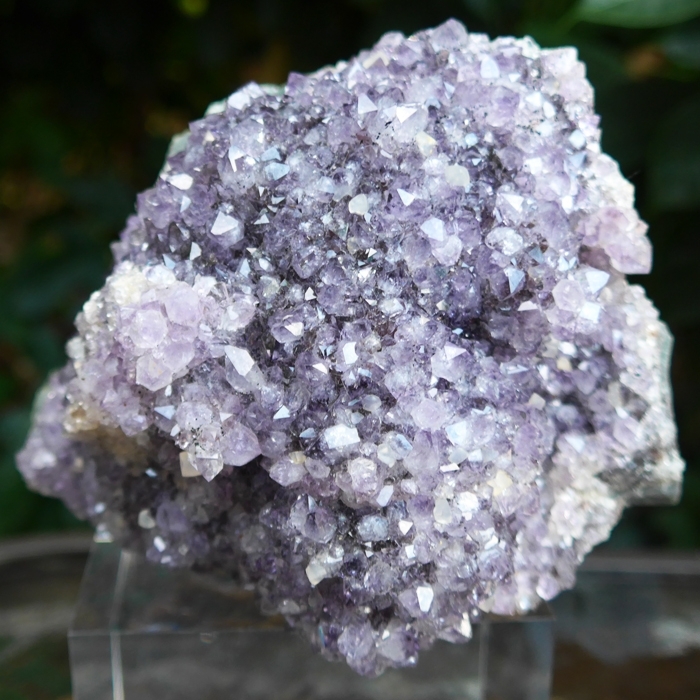 Dimensions (HxWxD): 2.4" x 4" x 4"
This 2.5 inch tall, 4 inch long natural, untreated, unpolished Large Luminous Druzy Brazilian Amethyst Cluster, weighing 27 ounces, or 765.4 grams, it is also large enough to be used as a centerpiece on your altar, bedside table or computer workstation to broadcast its unique energy throughout your environment. 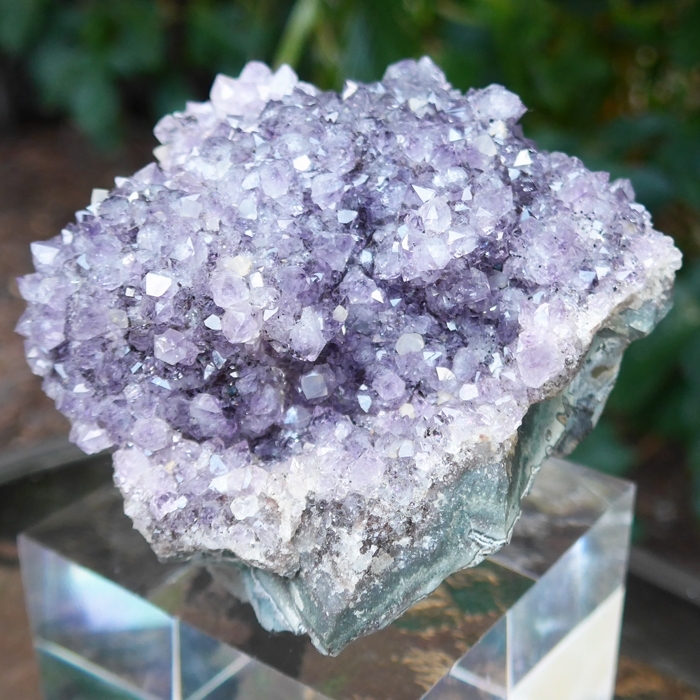 This gorgeous Amethyst Druzy Cluster features violet and lavender colors which are characteristic of this variety of Amethyst, and is highly prized by mineral collectors. This cluster also exhibits portions of the granite rock matrix from which this crystal was removed on the bottom of the cluster. 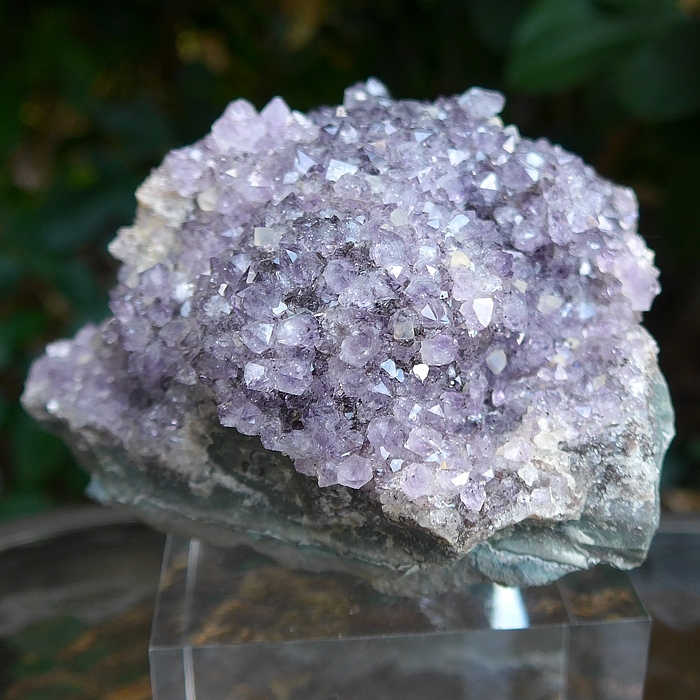 We have found the energy of this Brazilian Druzy Amethyst Cluster to be deeply relaxing for our clients, enabling the recipient to access Higher Worlds with little effort. It is strongly resonant with the energy of the open crown chakra, and is ideal for use in transmitting the Violet Flame during works involving energy healing and spiritual purification. 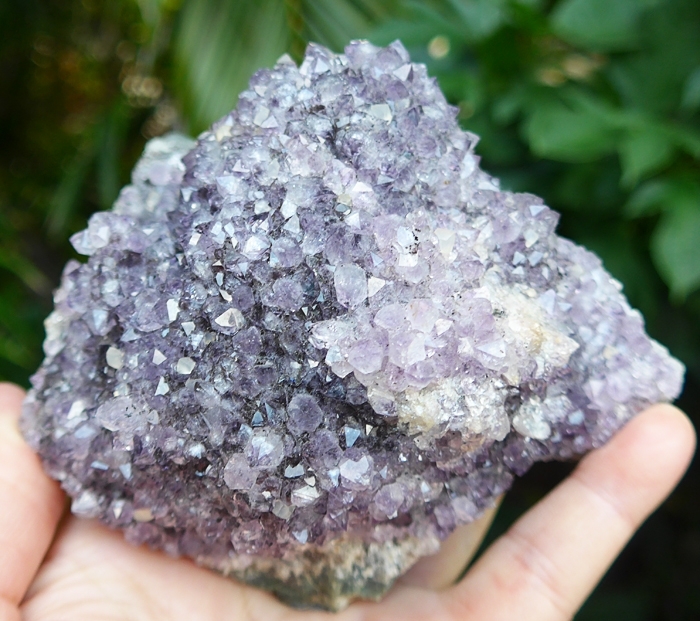 The color of amethyst is violet or purple, the color of the seventh, or crown chakra, in the human energy body, and the Violet Ray is the Seventh of the Seven Rays of Creation. 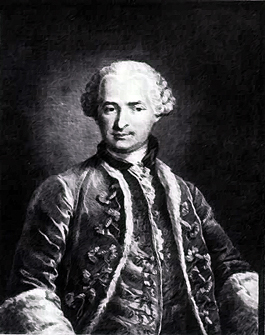 The Seventh Ray is one aspect of the Holy Spirit, a combination of the blue flame of faith and the pink flame of love. Note: Above weight is shipping weight. Net weight is 27 ounces, or 765.4 grams.